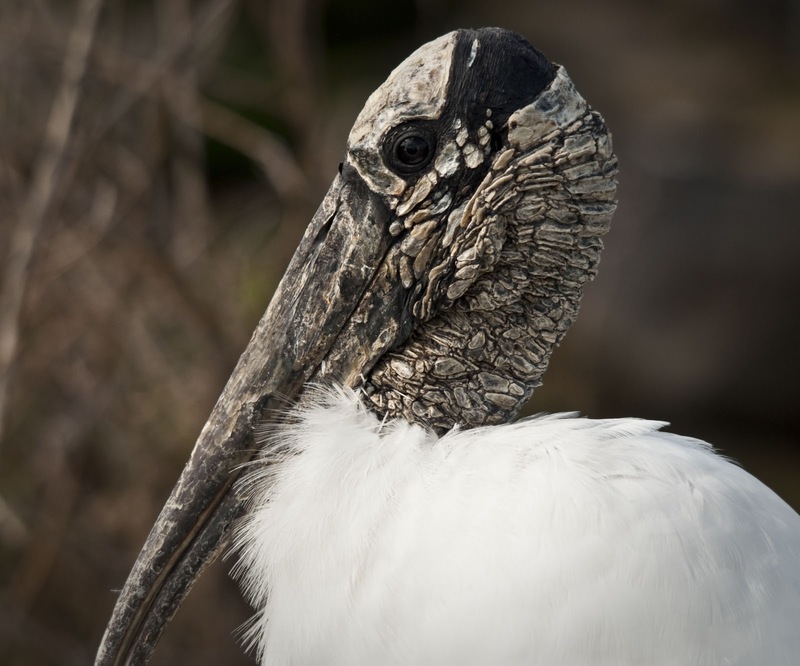 Wood Storks are interesting, unique looking creatures. Easily identified by their bald heads, long legs, and prominent bills, Wood Storks are found year round here in Florida. 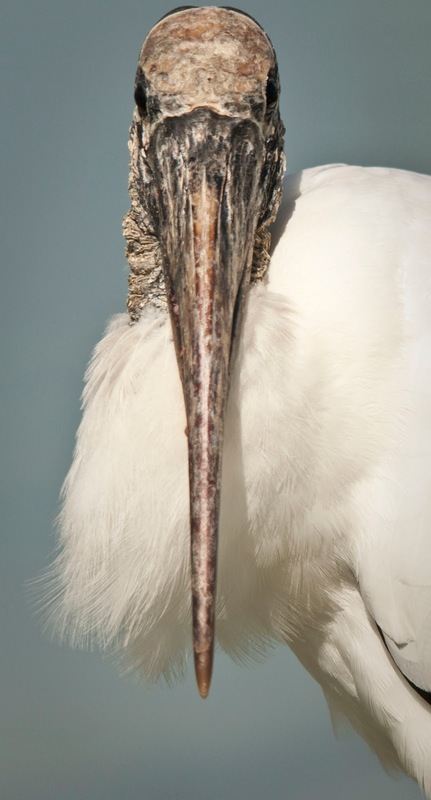 The Wood Stork has been on the Endangered Species list since 1984 and is the only Stork that breeds in the US. 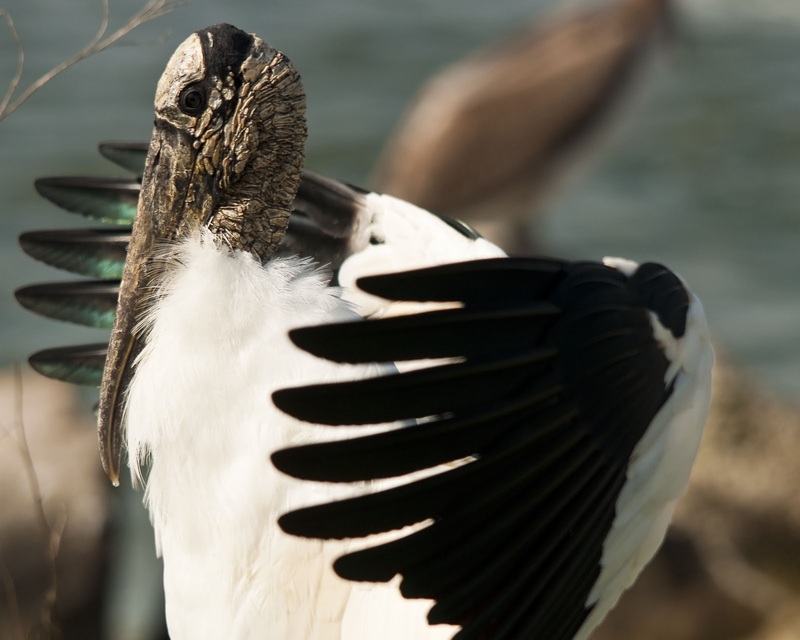 South and Central Florida are the most prominent Wood Stork breeding areas in Florida. The Wood Stork's large bill plays an important role in its feeding technique. The stork sticks its partially open bill in shallow water, snapping it shut when its sensitive bill detects a fish in close proximity. Wood Storks primarily feeds on fish, but their diet can include frogs, insects, small snakes, and lizards. Wood Storks typically forage in areas with high concentrations of fish because of their feeding style. Wood Storks are big eaters, especially during breeding season where they typically consume over 400 lbs of fish per season. ¡Preciosas fotos! Te deseo feliz Navidad y un 2012 lleno de felicidad para tí y tus seres queridos. ¡Gracias! Feliz Año Nuevo para usted también! Beautiful birds, I've never seen them. The Wood Stock is an endangered specied in the USA. Your photographs are really great, the close-up of it is superb, thanks Tammy. Outstanding photos, Tammy! I feel lucky to be able to see these birds as often as I can now that I live in Florida.